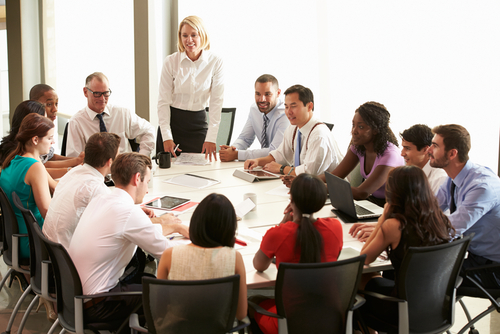 Boardroom Development is a consultancy specialising in board and leadership team development. We are based in Edinburgh and operate throughout the UK and internationally. Established in 1993, we provide consulting, development, facilitation and coaching services to people in leadership roles in the private and public sectors. We work in partnership with clients to help them develop outstanding boards of directors and executive teams whose capacity for strategic leadership, personal flexibility and creative thinking enables them to create sustainable organisational and personal success. Our goal is to help individual directors, boards and executive teams to reach their full potential through improving their focus, aligning their culture and strategy, and developing the behaviours that lead to success. When membership of a board changes it is in effect a new board. How do you get that new board up and running in as short a time as possible, building trust and developing effective relationships? Boards can benefit from an independent, external perspective enquiring into their ways of working. 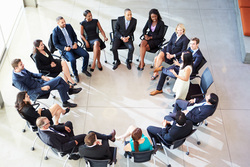 We provide coaching for your Board as a whole and for individual board members. Our dialogic approach to whole board coaching is based on observing a series of board meetings using our innovative and well known Board Watch process. ​For more about "Board Watch"
Once a board is up and running effectively, it is time to focus on developing the capability of individual board members. Based on our research, and feedback from our clients, we have identified our top eight areas for director training. Our series of eight, half-day, highly interactive Masterclasses that can be can be tailored to meet the specific needs and aspirations of your board members.